Activities: Dog friendly, stroller and ADA accessible, great for kids, running, walking, biking, picnicking. University Park is a small mostly wooded park area located between Allen Ave and Washington Ave. There are two main trails, a traditional park-trail and a much wider more accessible trail, the Harvard St. path running parallel to Yale St. The park has a diverse topography with many areas of exposed ledge as well a a number of small streams. On the Harvard St. side is a small open field maintain by the city–a perfect place for a picnic. 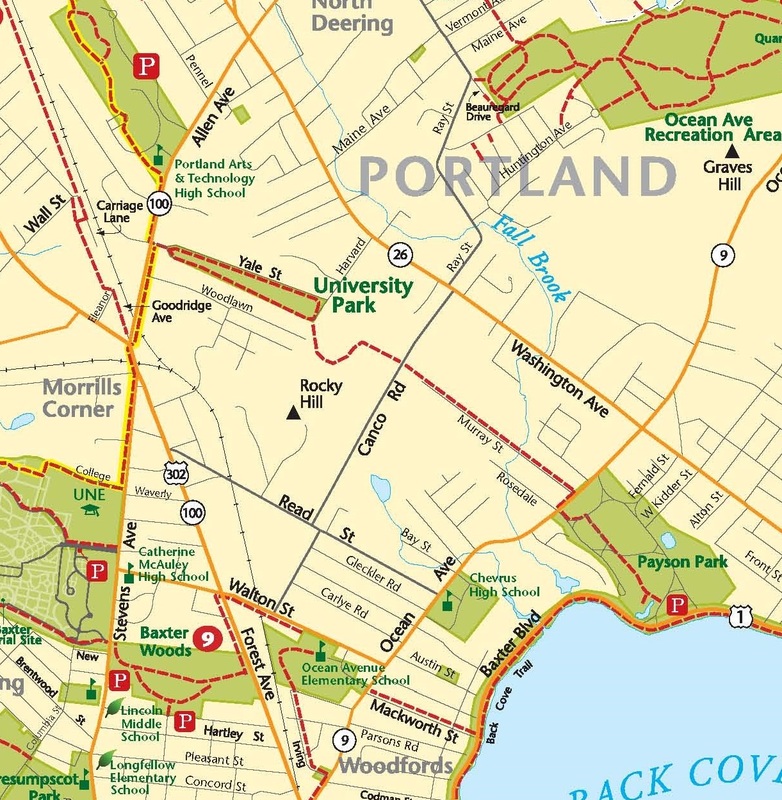 University Park is owned by the City of Portland. This trail serves a connector between a number of neighborhood spots. You can follow it all the way from Back Cove to Payson Park, up to Canco Woods, through University Park and to PATHS high school. It crosses a number of different suburban city streets, and as the name suggests, a number of different brooks. This trail is also part of the much longer Sebago to the Sea route.